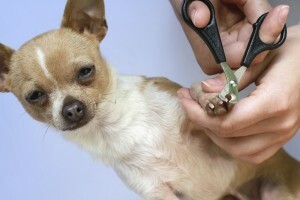 If you keep your pet’s nails trimmed on a regular 4-week schedule, bravo! Not only are you filling your home with sonic balance (we always vote for less clicking on hardwood, laminate, or tile floors), but you are servicing your pet in other tremendous, healthful ways. Of course, not all pet owners are able or willing to trim their pet’s nails (it can be off-putting at first for all involved), and that’s where we come in!